Media Digital Alliance - MXAE 2 Released! The time has finally come. 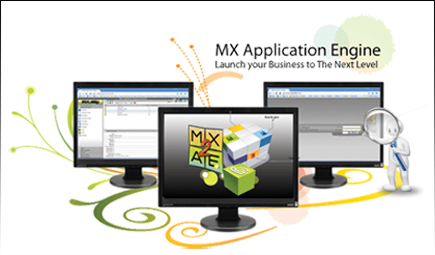 We have been working behind the scene to push the release of the second generation of MXAE, aptly called MXAE 2. With this new release, you will see a totally revamped Application Management System graphical interface supporting the latest Web 2.0 technologies. What this means is that MXAE's AMS will now support most modern and latest browsers that's worth its salt (Google Chrome, Mozilla Firefox, Apple Safari, Internet Explorer 7/8, etc). User interfaces are highly responsive giving users the feeling that changes are instantaneous. No additional plug-in installation. Just an AJAX enabled browser required. Supported browsers include Internet Explorer, Firefox, Chrome and Safari. Reduction in network traffic due to more intelligent client and selective data request. Wider range of AMS controls which include drag and drop, cell editing, tree menus and column freeze. These controls will further improve overall user experience allowing efficient interactions, better error management and feedback. Some of the modules data listing are cached in the client, allowing a vastly more responsive user interface and fewer round trips to the server. Personalise AMS user interface language. Currently supports English, Bahasa Melayu and Chinese. My Preferences feature allows user to customise AMS user interface appearance. Each personalization action like column size, selected column display and sequence will be stored. Favourite Shorcuts feature enables quick access to users’ favourite channels and/or programs. Similar to the concept of browser bookmarks, it provides users a place to list only the channels and/or programs that are regularly accessed. Advanced find extends the capability of searching the record in MXAE contents. Multi levels of searching conditions (and / or) can be applied to filter and refine the search results. Users permission for member groups has been expanded so that users can be configured of managing individual group. Program Triggering - Now you can further manipulate any articles that are submitted to the program by inserting trigger point before and/or after article submission. HTML editor has been upgraded to have better support of cleaning up of Microsoft Word imported documents. Streamlined content permission so that users can set default permissions that can be inherited when creating new channels. More secure login page with the introduction of CAPTCHA verification code. Better support for multilingual websites. AMS by default is set to UTF-8 for all new websites created. Event Notification items can now be set to deactivate / activate status. Campaign Zones has been expanded from current 1 character (a-z) limit to the new 8 character max field. More friendly file management which now lists all publishers on the same tree so that it can be easier to make comparisons. Bundled MySQL is now upgraded to version 5.1.42 . Bundled Apache Web Server is now upgraded to version 2.2.14 . Supports deployment on Redhat Enterprise Linux 5, CentOS 5 and Fedora 11 and above. For more information, please see our product release notes and the full list of changes is available in the change log.